I was in San Francisco when I got Brazilian artist Mauricio Planel Rossiello's message, complimenting my photograph from Bastille (at left) and asking if he could use it in his work. Upon my return to Paris, I sent the photo to Mauricio. Late last week, Mauricio forwarded me the result from Rio: a wonderful collage incorporating images from the '40s and '50s, including Catwoman and an American farmer. The collage is currently part of a cultural exhibition in Brazil. For nearly two years, I've admired Mauricio's work, which infuses art with social and political commentary. In his work, Mauricio creates bold statements that are not only beautiful and unique, but meaningful to our lives. 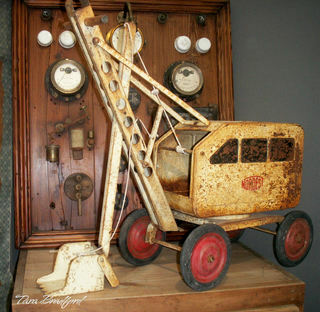 "I like to get old images and give them a new life and a new history," he said. "Regarding the collages' themes, they have my social-political vision inserted in them. I think that it's important to transmit it through my work." "I know that it's an ant working - a Brazilian expression which means what I do is small in comparsion to the worldwide media," Mauricio commented. "But it must be done if we would like to contribute to a better society." 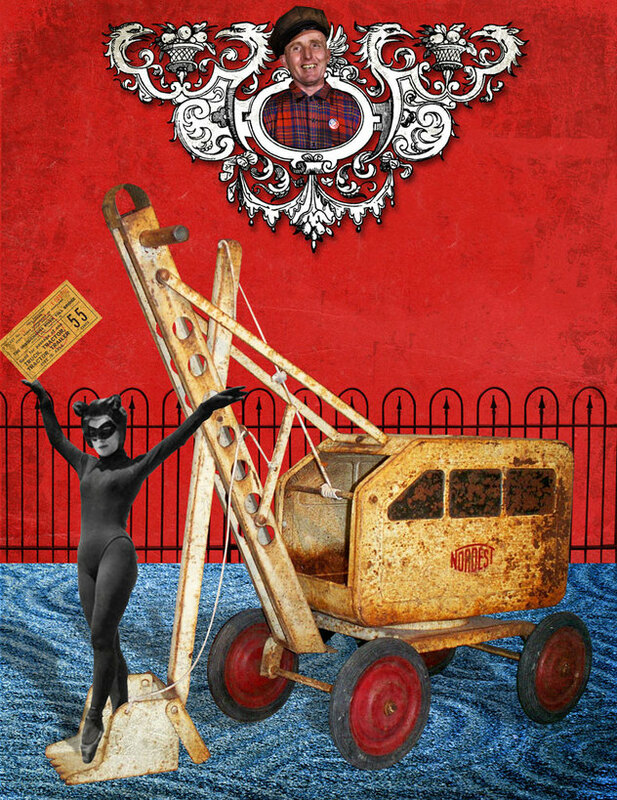 See more of Mauricio's powerful images and illustrations at his multilingual website El Collage. 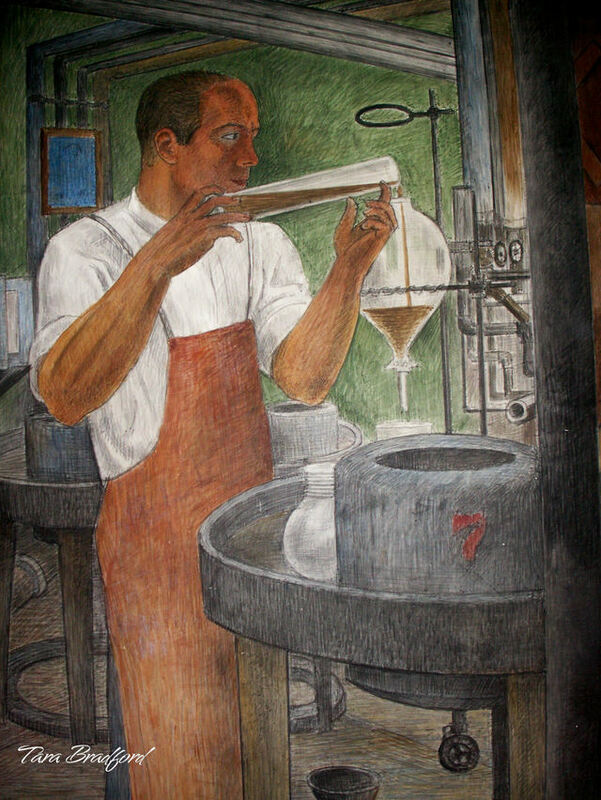 Copyright 2008 Mauricio Planel Rossiello. 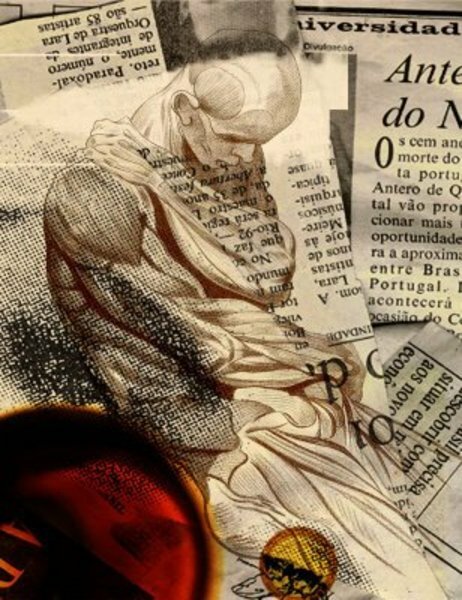 One of my favourite of Mauricio's collages, "Sepias," represents humans in modern society being overwhelmed and depressed by news of chaos and disaster. "Breathing deep, raise the eyes and continue." "Respirar hondo, levantar los ojos y seguir." "Respirar fundo, levantar os olhos e seguir." 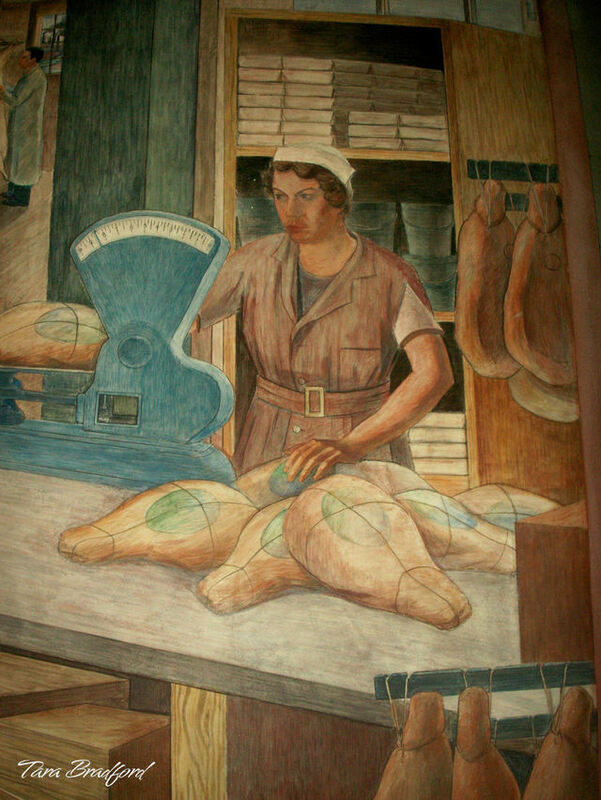 Coit Tower, the 1933 Art Deco marvel, was built with funds that Lillie Hitchcock Coit bequested to the City of San Francisco. The monolithic structure stands atop Telegraph Hill in Pioneer Park. 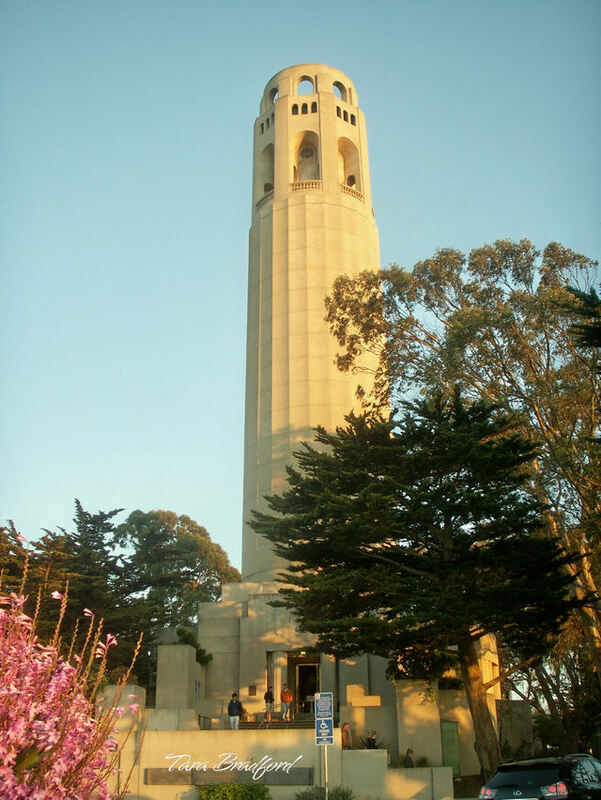 Designed by architects Arthur Brown, Jr. and Henry Howard, the 210-foot tower is made of unpainted reinforced concrete. 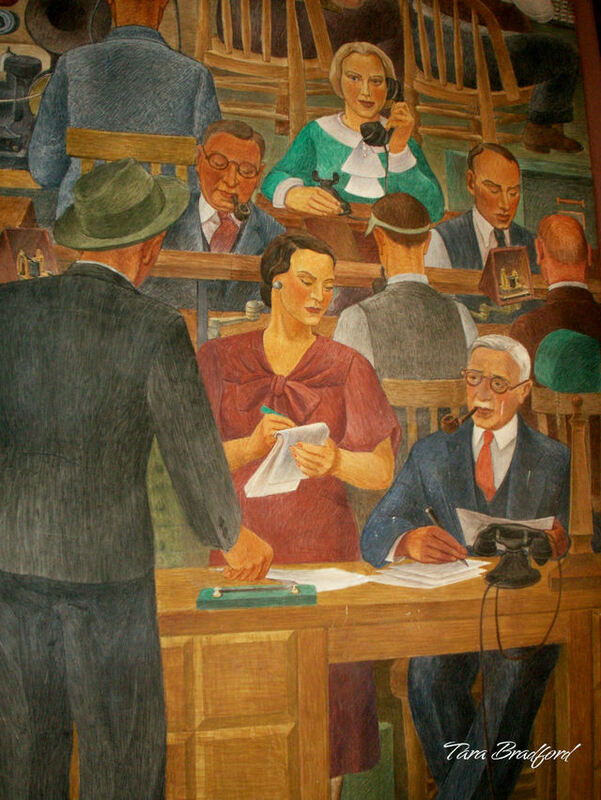 The building's interior murals were the first intiative of The Public Works of Art Project, a New Deal program to employ artists during the Great Depression. 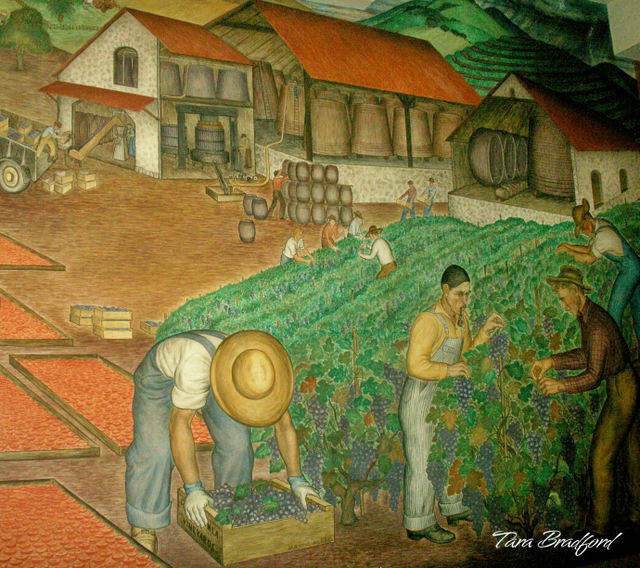 The 26 murals were painted in various mediums, including fresco, egg tempura and oil on canvas. 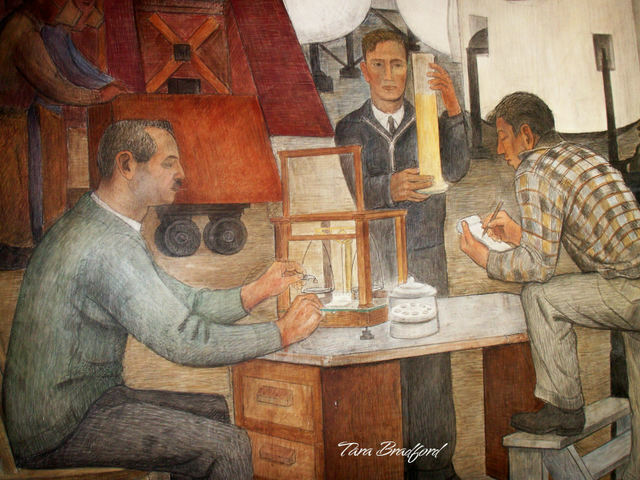 Among the 26 artists selected to work on the project were Victor Arnautoff, Bernard Zakheim, John Langley Howard, Ray Boynton, Ralph Stackpole, Jose Moya del Pino, Otis Oldfield, Jane Berlandina and William Hesthal. 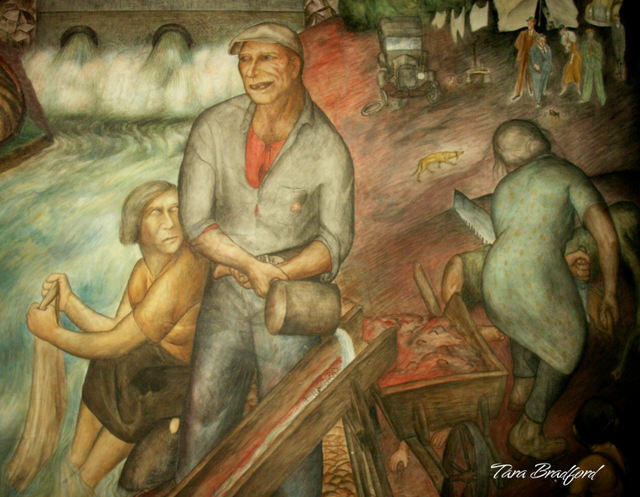 In the spring of 1934, while the muralists painted, a strike shut down the Pacific Coast. Unemployed longshoremen and their union threatened to strike; by early summer they had brought waterfront commerce to a halt. 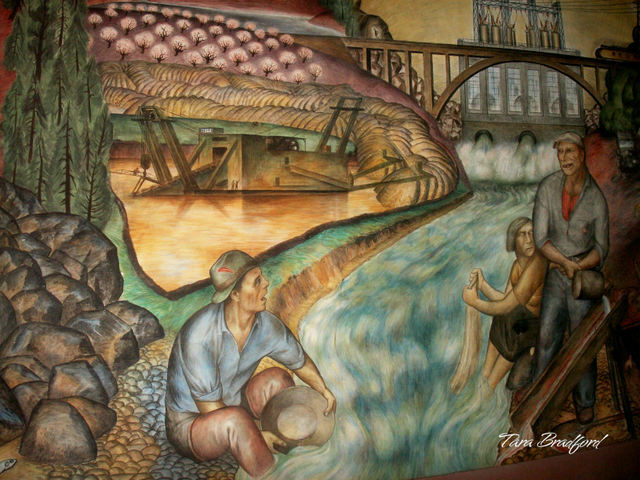 Artists included subtle references to the event in some murals. 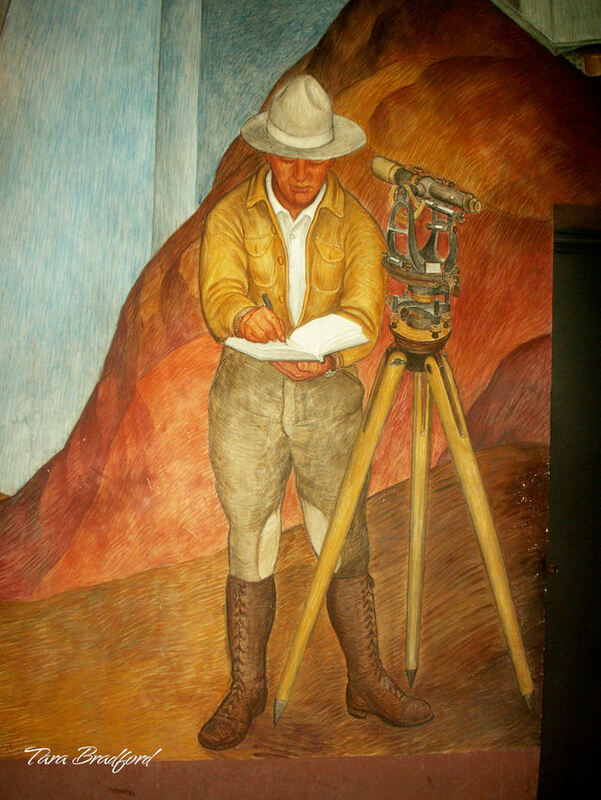 The Coit Tower project was considered controversial because of Mexican artist Diego Rivera's influence over some artists and the city's determination to separate politics from publicly-sponsored art projects. 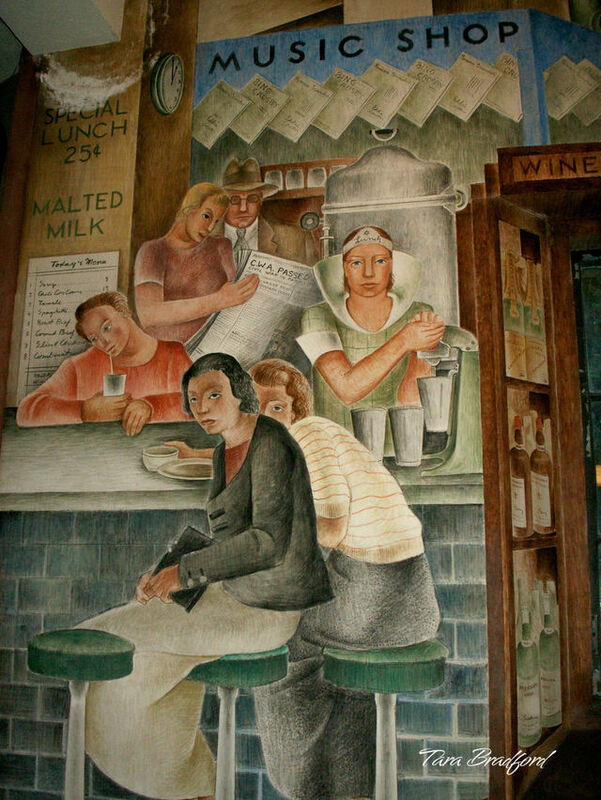 When the murals were completed, members of the San Francisco establishment were dismayed by the work's political content. 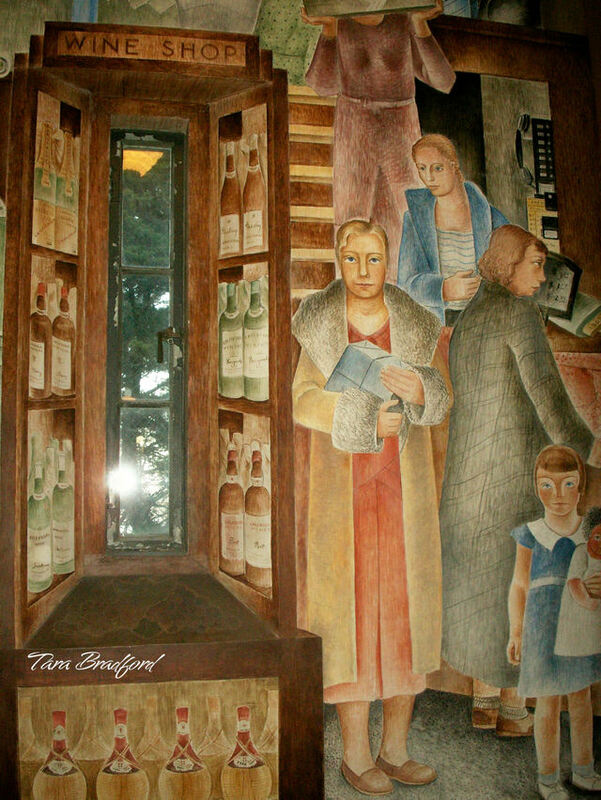 The San Francisco Art Commision even delayed the opening of Coit Tower, while considering destroying the murals. 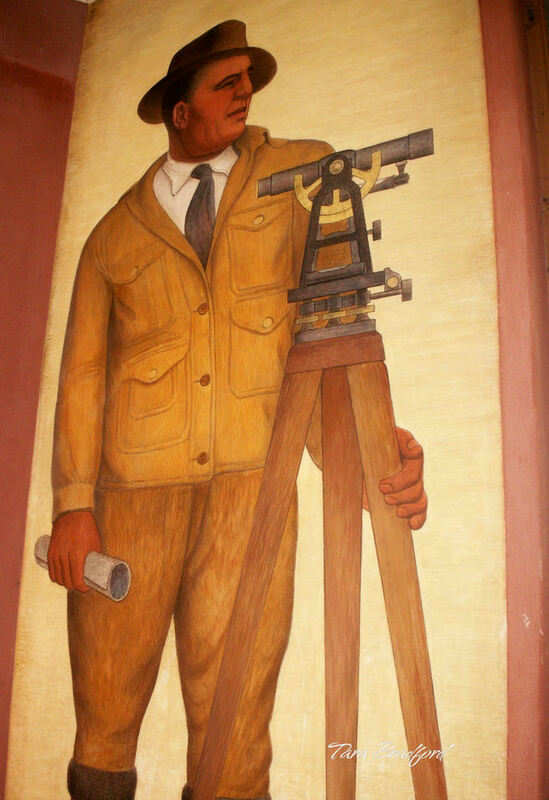 After much debate, the tower was finally opened to the public - murals intact - in October 1934. Conducting scientific experiments. Click photos to enlarge and view detail. Panning for gold following the California Gold Rush. 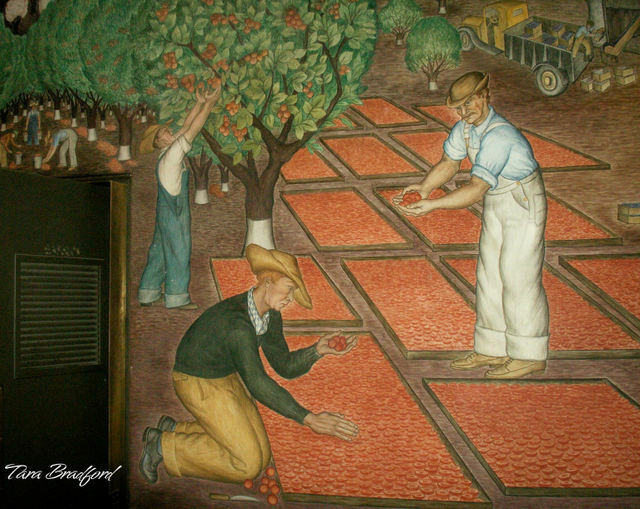 In this portrait, notice the well-dressed people in the background, hoping to profit from others' hard manual labour. 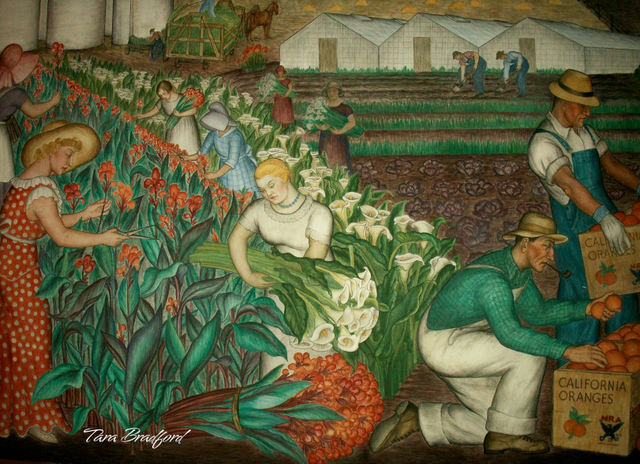 Various flowers, including calla lilies vyed with oranges for crops grown in Bay Area fields. 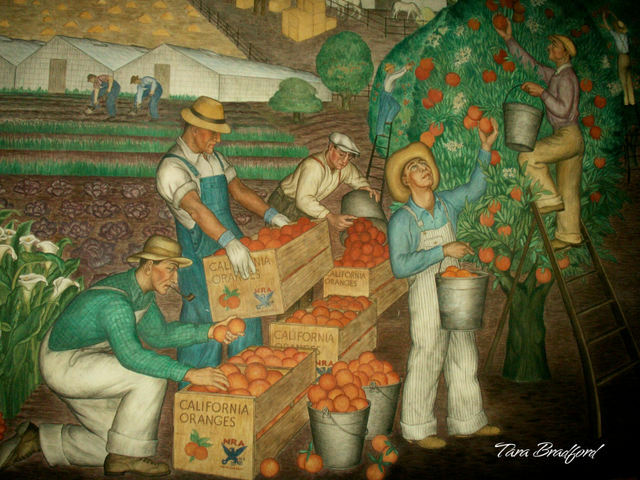 California oranges grown in the Central Valley. Gathering the harvest at area farms. 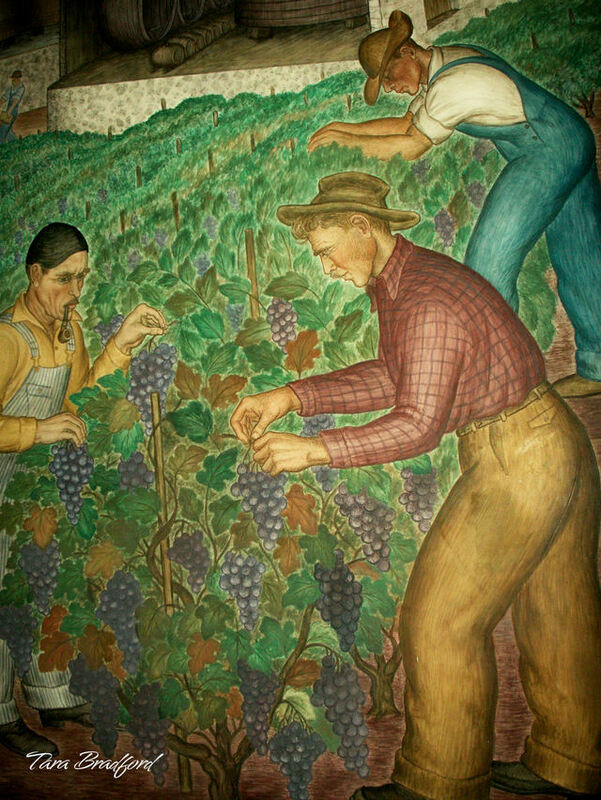 Picking grapes from the vineyards. Baking San Francisco sourdough bread. Producing milk for sale to area markets. 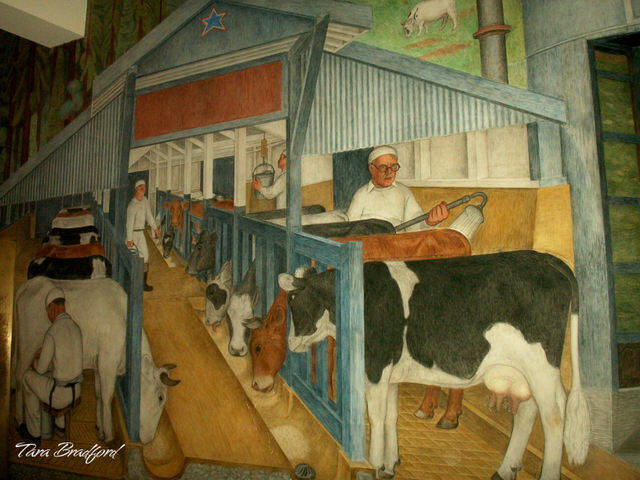 Milking the cows at a local dairy. 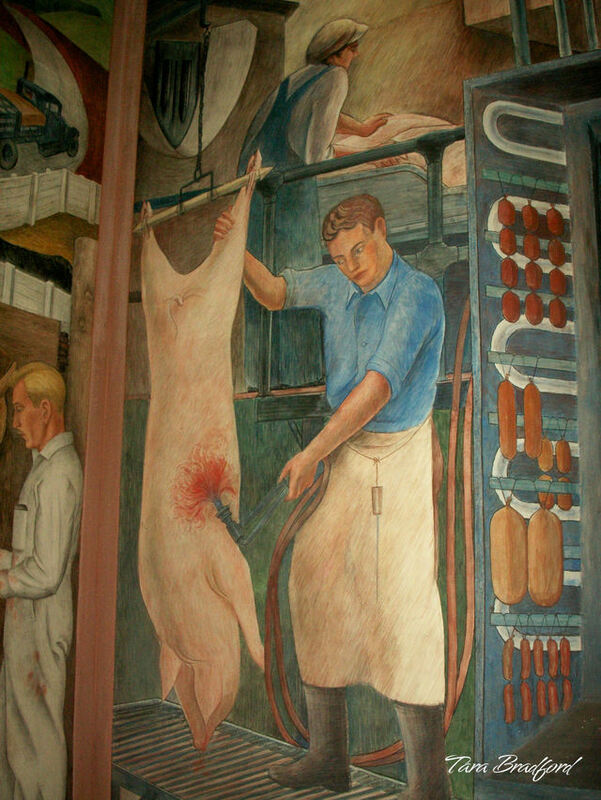 An abatoir and meat-packing plant. 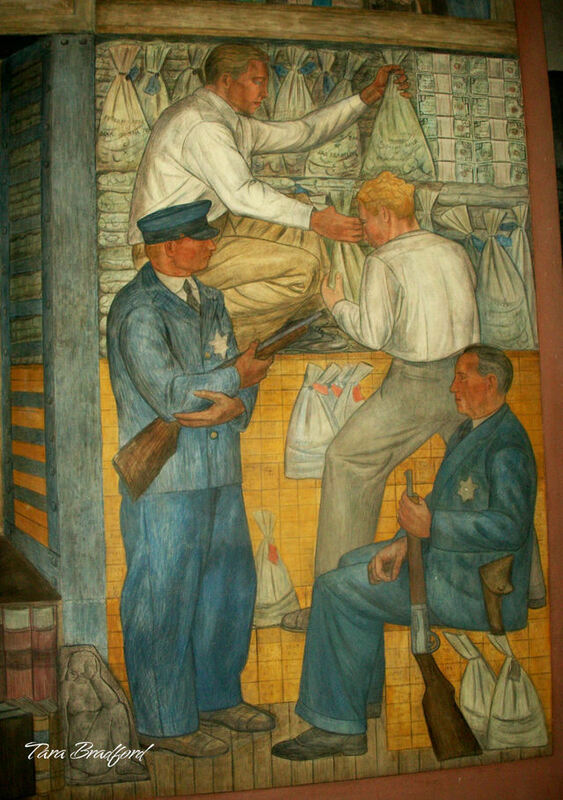 Moving cash at a city bank, with armed guards standing watch. 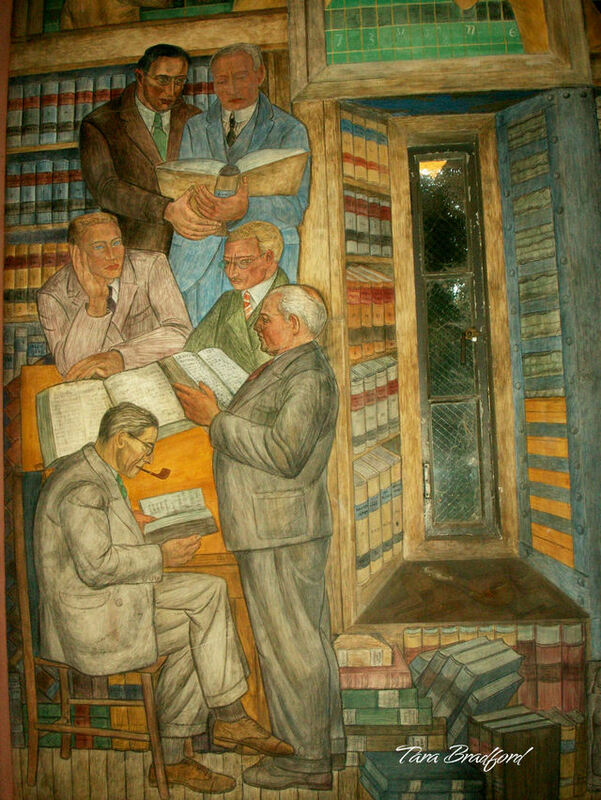 Reading the news - a public library's reading room and a private one at a toney gentlemen's club. 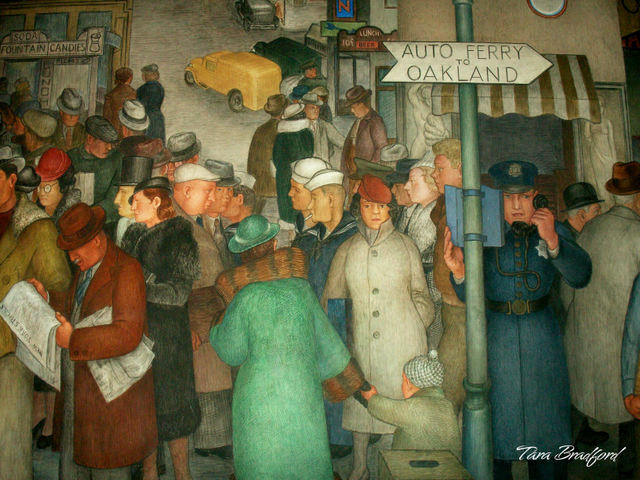 Scenes from a typical city rush hour, including a traffic accident in the upper left of the mural. At the newstand, one of the headlines screams "Police robbed; accuse Dillinger." In the forefront, a businessman is being held up by two armed men. Popular transport methods included the ferry to Oakland. A soda fountain and lunch counter for office workers. Stop the presses! 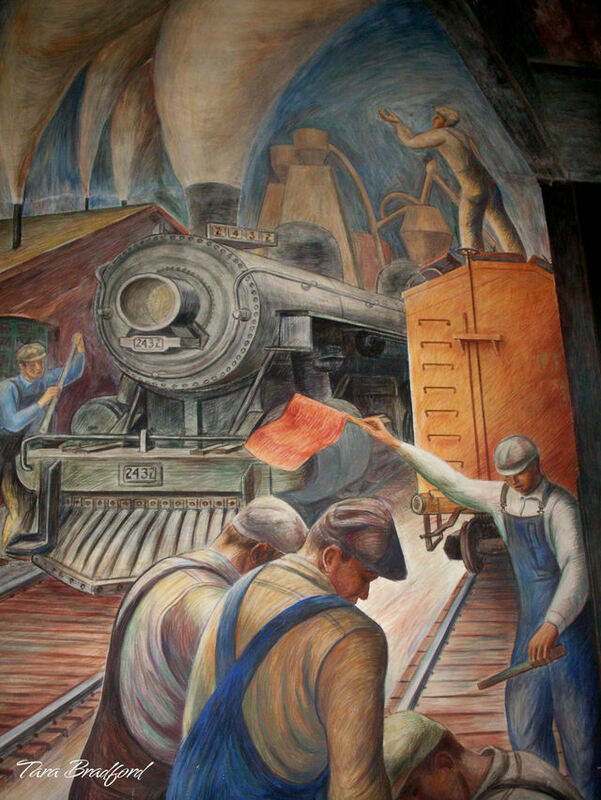 San Francisco labor relations were a main focus of the day. 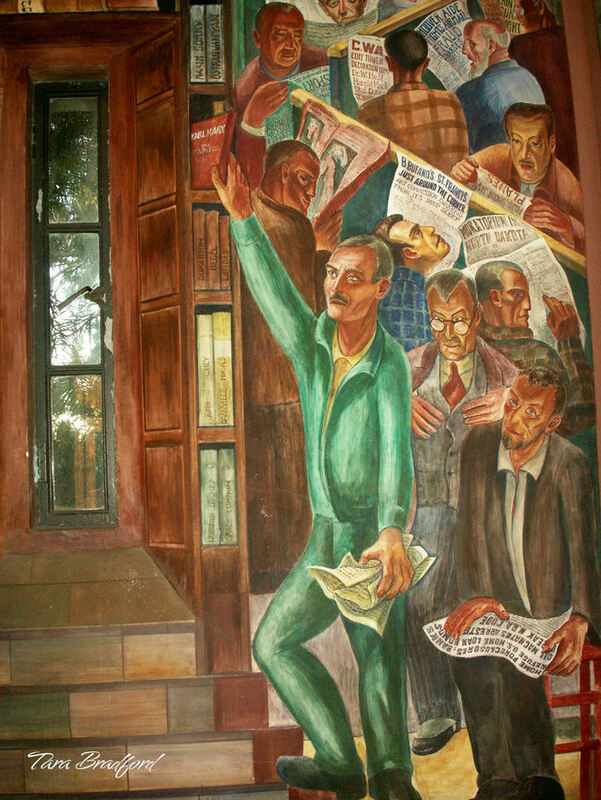 Some headlines feature news about the artists' murals painted in Coit Tower. 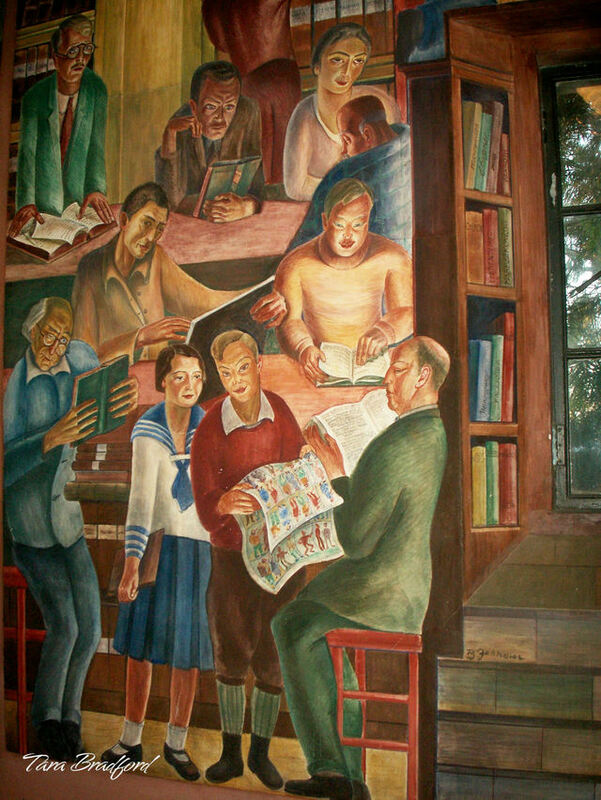 In this mural, the bookshelves contain socialist tomes by Karl Marx, as well as Hebrew texts. At the time of their creation, scenes such as this were considered controversial, due to thinly-veiled political statements in the artwork. 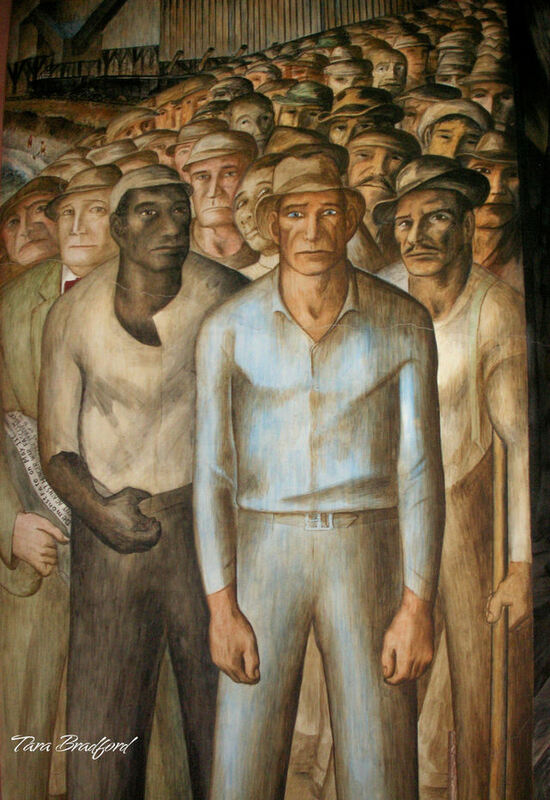 Working class men lined up for work. 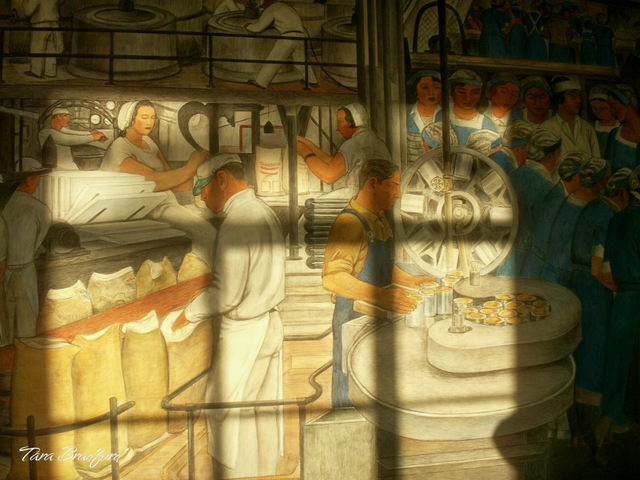 This mural refers to often-difficult social and economic conditions for the working class following the Great Depression. Unemployment was high and wages low, for those lucky enough to find jobs. 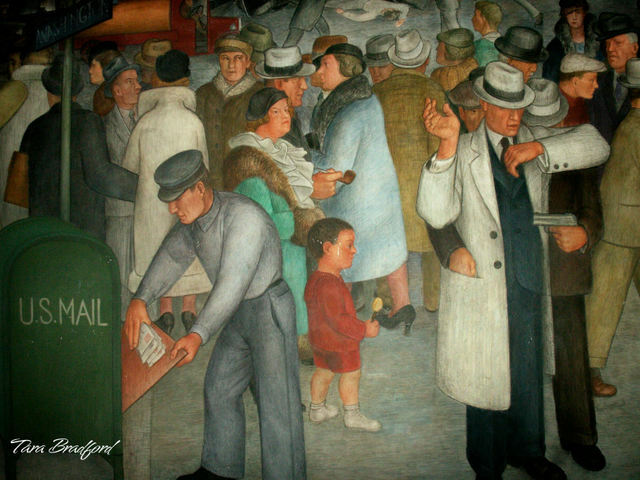 Long strikes in 1934 made it difficult for many families to make ends meet. Keeping steam trains running and laying miles of railroad tracks. This is the third in a series of pieces about San Francisco. 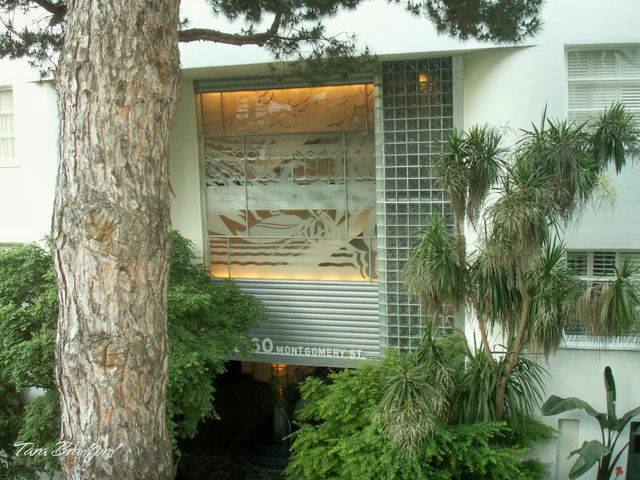 The etched and frosted glass-adorned main entrance for 1360 Montgomery, where key scenes in Dark Passage, featuring Humphrey Bogart and Lauren Bacall were filmed. In the movie, Bacall helped Bogart, an innocent man wrongly-accused of murder, elude capture after his escape from San Quentin. Film noir enthralls me. These black-and-white films of the '30s, '40s and '50s and their snappy dialogue, suspenseful stories and simple romance are pure escapism, worthy of multiple viewings. 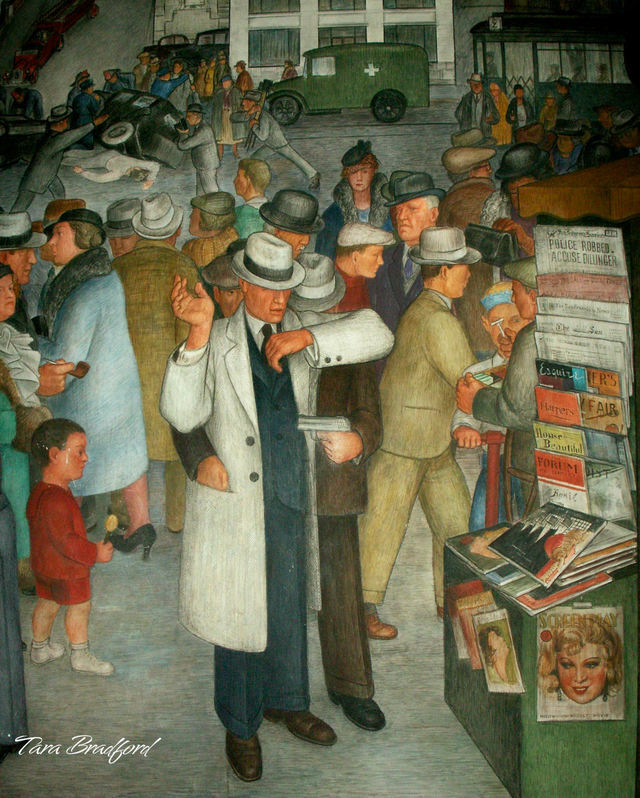 Some of the genre's best were made in San Francisco, including Dark Passage, The Maltese Falcon and Alfred Hitchcock's Vertigo. Recently I was staying in an apartment around the corner from 1360 Montgomery building, at Union and Montgomery in the Telegraph Hill Historic District. I didn't realise my proximity to cinematic history, until my friend Tangobaby reminded me of the address. 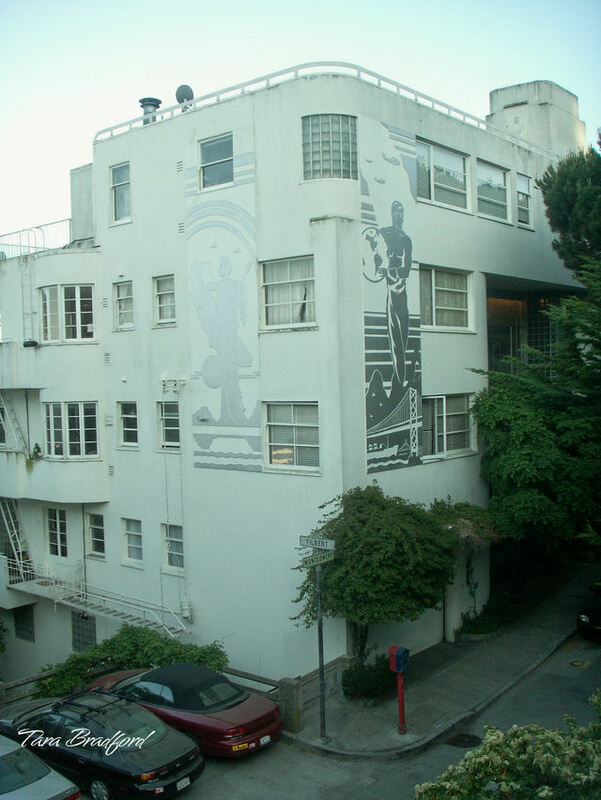 The afternoon I arrived in San Francisco after a long absence, I took photos of this stunning Art Deco building, unaware of its film connection. 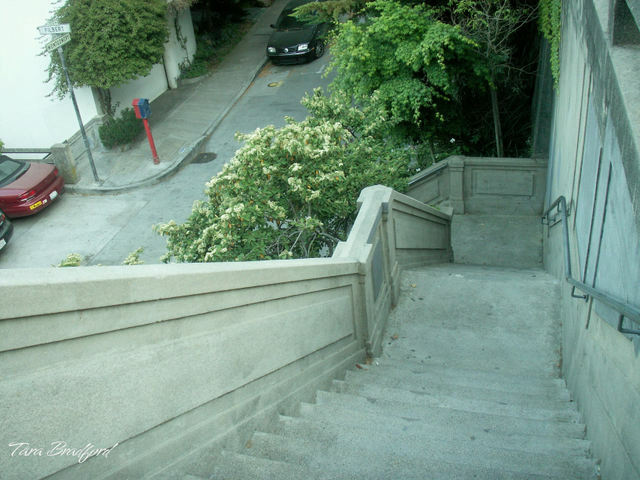 Steps leading from the hill above to the Malloch Apartments at Filbert and Montgomery Streets. 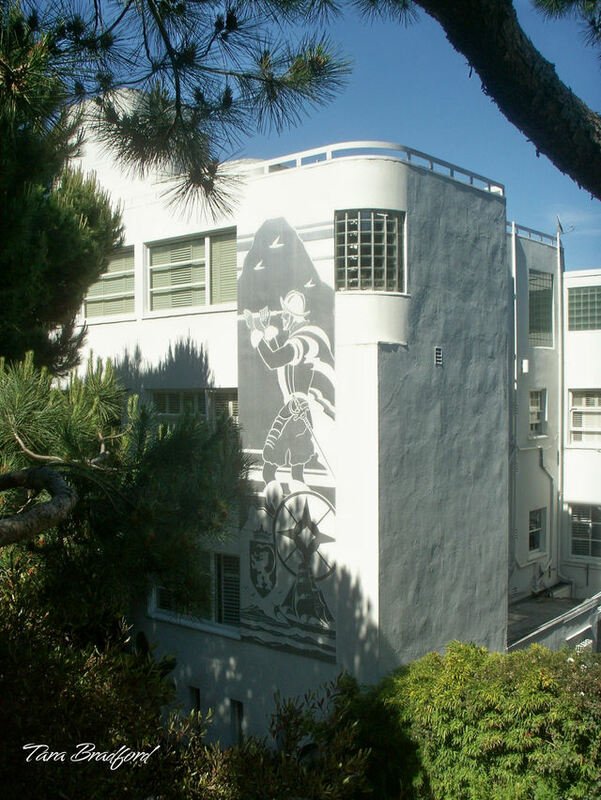 The apartment building with the sleek lines of an oceanliner has Art Deco exterior murals and glorious views overlooking San Francisco Bay. 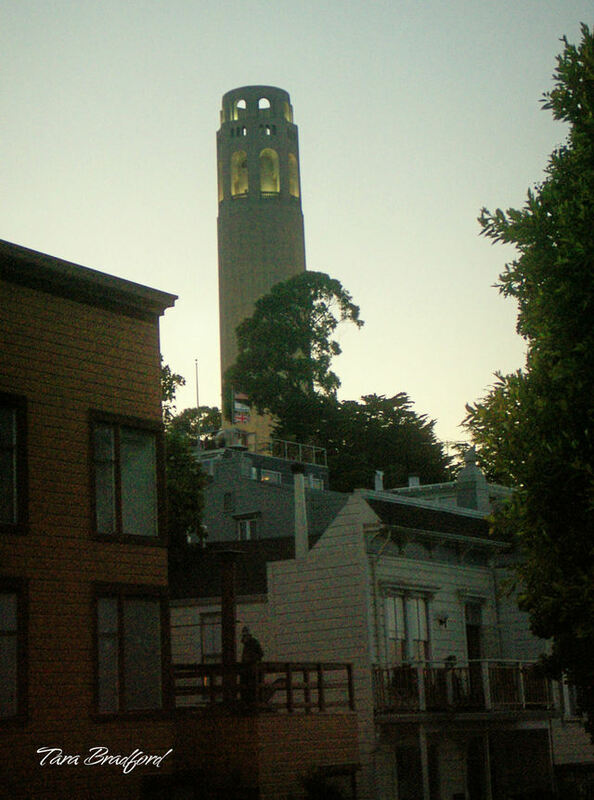 Coit Tower, another famous Art Deco landmark, as seen at twilight from the hill at Union Street, opposite 1360 Montgomery. 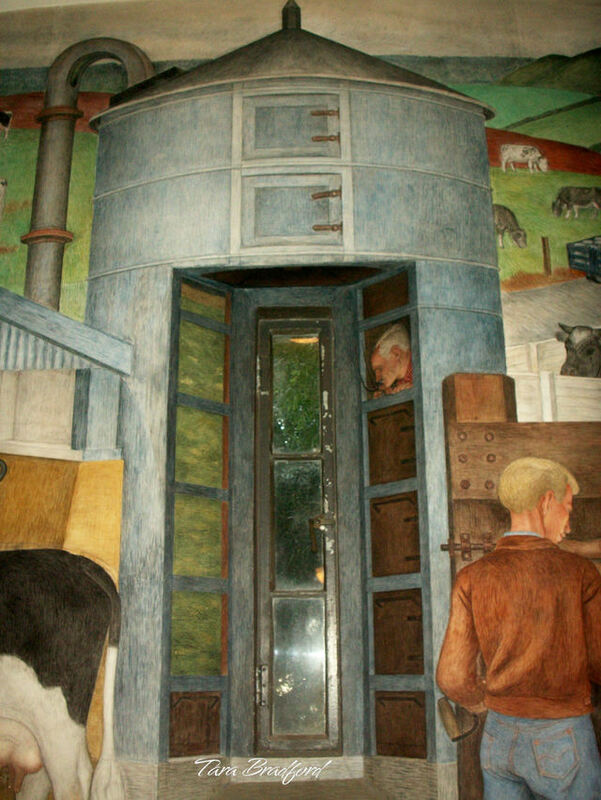 Check back Thursday for more photos of the tower and its amazing interior murals, painted under the first New Deal federal employment program for artists. 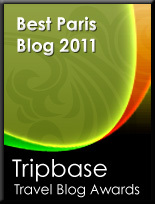 This is first of a series of posts about San Francisco.